I'll be the first to admit that there's nothing particularly artistic about this elk picture. However, I've never seen an elk before so I'm happy to have this shot. I had to go all the way to the Grand Canyon and then wake up around 5am to get it though. Yes, that's right. 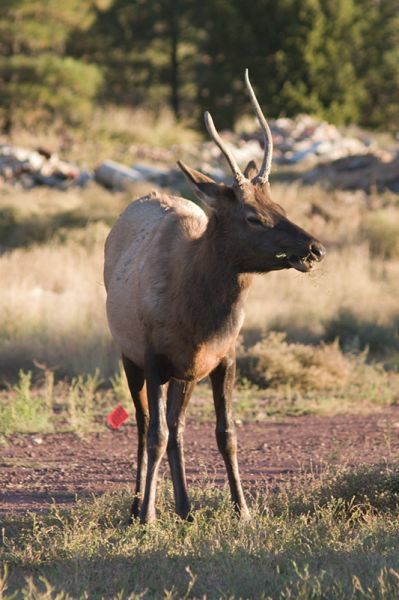 I came across this elk on my way back from watching the sunrise on the south rim of the Grand Canyon.